Welcome - Bearing Brokers Inc. Proudly Rolling Integrity into Industry for 25 Years! 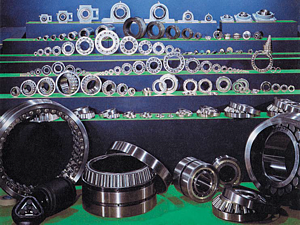 Bearing Brokers Inc. has established a proud tradition of service in the marketplace. 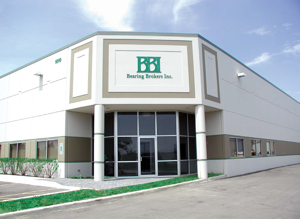 Over the past 25 years BBI has adapted with changing business climates to be a leader in the bearing service market. That tradition is borne of experience, a clear vision of the future, and the fortitude of BBI employees who adjust to market conditions. As we contemplate the future, we must consider our customer’s needs, distributor partnerships, and our employees drive for excellence. We believe a streamlined enterprise will enhance our ability to deliver tailored, consistent service for customers of every size. WE ALSO SOURCE PRODUCTS FROM MAJOR MANUFACTURERS FROM THE USA AND AROUND THE WORLD. 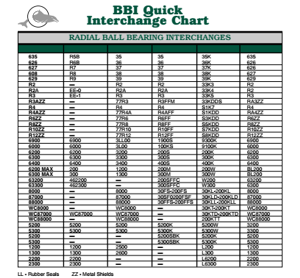 Click the image above to download the latest BBI Quick Interchange chart. Machine Tools, Marine, Oil Field, Pumps, Super Precision, Wind Power and more! BELTS: V-Belts, Cog Banded Belts, Timing Belts and more! SEALS: Oil Seals, Grease Seals, V-Rings, O-Rings and more! CHAINS: Standard Roller Chains, Speciality Chains, Industry Specific Chains and more! SHAFT COLLARS: Solid Collars, Double Split, Black Oxide, Stainless and more! SPROCKETS: Single Pitch, Double Pitch, Idler Sprockets and more! 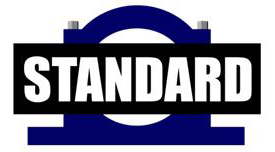 HYDRAULIC PRODUCTS: Orbital Motors, Radial Piston Motors, Flow Control Valves and more!  We source products from a wide range of US and International companies.